Driving down the national highway no. 99 from Bulgaria’s port city of Burgas towards the south feels good to anyone living in Sofia. It means the boring part of the trip on Trakia Freeway is over and the beaches are already in sight. The object that natural question is referring to is the nicest castle ever, in Ravadinovo, some kilometers south-west of Sozopol. Spectators on their way to their vacation spot would usually think some king, protected by knights in shining armor, must have built that castle 500 years ago. Wrong. A former wrestling professional had it built. Turning right towards the castle in order to have a closer look is always an option. But to those who got up at 5.30 a.m. and left Sofia at 7:00 a.m., the desire to reach their destination is usually stronger than the wish to look at the only newly built castle in Europe. Let others take those selfies in the scorching heat. The further south vacationers go, the less civilization there is. In the town of Tsarevo, road 99 turns into the much smaller and partially very curvy road 9901, which gives holiday makers great views of the Black Sea coast, mostly made up of rock. Located some 15 kilometers (10 miles) further south, Sinemorets is a true marvel. 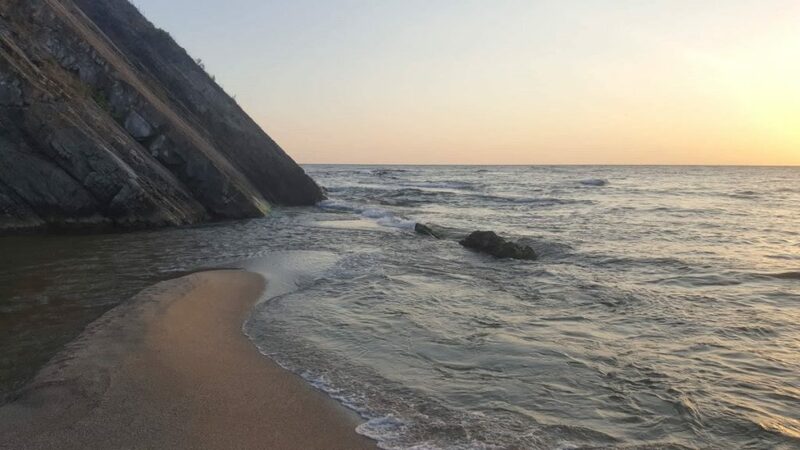 The village with 410 actual inhabitants is pretty much the exact opposite of ‘Sunny Beach’, Bulgaria’s largest and worst Black Sea resort (read article with video on ‘Sunny Beach’). Down here, the constant noise, the tourist traps and the cheating simply do not exist. Sinemorets was part of the forbidden border zone in communist Bulgaria, until 1989. This is where those who tried to escape from the Eastern Bloc, including nationals of the GDR (Eastern Germany), were hunted down and arrested, or shot in cold blood (read seperate article entitled ‘Bulgaria: Shot to Death While Trying to Escape’). As macabre it sounds because of the hundreds of victims, the fact that Sinemorets was in that forbidden zone is a big advantage today, in the sense that the resort did not expand like Slanchev Bryag (the actual name of ‘Sunny Beach’). Actually, Sinemorets still feels like “the real Bulgaria”. Sure, some 15 little shops popped up for the tourists who stay at the few mostly very nice inns, including ‘Hotel Apolonia Palace’, an apartment hotel which offers very good accommodations with nice views. Three to four restaurants offer pizza and meat with Bulgarian sauces in the center of Sinemorets, for the mostly Russian, German and Bulgarian tourists who opted for quietude instead of chaos. The local supermarket, which mainly offers Bulgarian-made products, looks like it was built in communist times. Whoever enters it will be surprised. As it turns out, this supermarket is more of a discotheque than anything. Programmed dance ‘music’ at an extremely high volume hits any visitor who just wanted to get some pasta, Liyutenitsa or soda. Just a few steps away, a small port, hidden in a tiny valley, with around seven fishing boats shows what the main business was down here, before the forbidden zone suddenly opened up for everyone but refugees. A small store located in a wooden shack, which 99 percent of the tourists do not even notice, offers fresh fish. In Sinemorets, there is hardly any distance between that small garden in which an 85-year-old lady tries to chop some wood for the winter, and the swimming pool tourists are staring at while consuming their third Gin Tonic. This place is still original, at least partially, an aspect makes this stay even more interesting than it would have been anyway. There are very different beaches in this area, along this part of Bulgaria’s Black Sea coast. Rezovo offers the southernmost beach in Bulgaria. It is about 20 meters (65 feet) long and full of dried algae which were washed ashore. It may not be the most attractive beach ever, but it does offer a view of a much nicer beach in Turkey, just across the border, which is only meters away. Rezovo, located 11 kilometers (7 miles) south of Sinemorets, is truly exotic. There is only one shop with souvenirs and cold drinks, located next to the central parking lot for tourists. Other than that, tiny family houses and three small inns are all there is. Newly built concrete stairs connect the parking lot with that miniature beach. 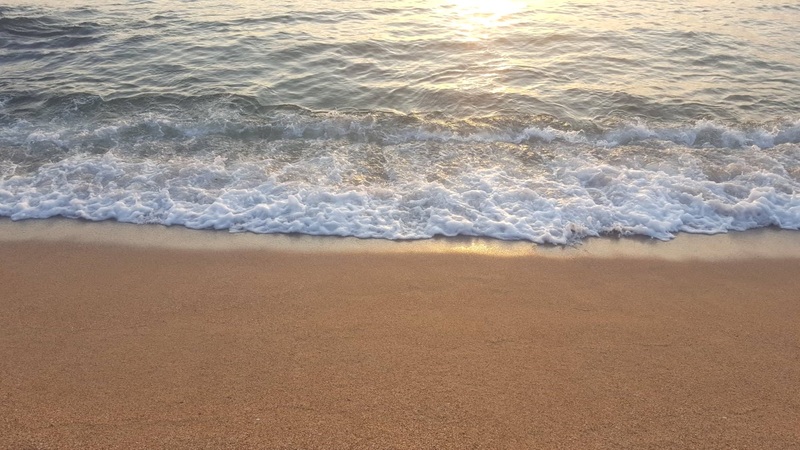 Then, some 6 kilometers (4 miles) north, after passing a pre-border checkpoint with guards who are looking for refugees, the traveling tourists will reach Silistar Beach. It is a former paradise beach, hidden behind the jungle-like vegetation. But by now everyone knows about it, meaning it is overcrowded. In some kind of a corruption scheme, someone there is charging 5 Leva (2.60 Euro) for every car and makes at least 10,000 Leva (5,118 Euro) per day. At the southern tip of Sinemorets, down the hill on which the hotels and holiday apartments are located, the pretty nice Butamyata Beach fills up rather fast. But vacationers who have the energy and courage to climb a few rocks towards the south will be rewarded. They will reach Lipite Beach, which is almost empty. Skinny dipping? This is the place. The most sensational spot at the southern Black Sea coast is Veleka Beach. It is something like a little peninsula consisting of sand only. The Veleka River flows behind it while the waves of the Black Sea batter it from the other side. On this beach, the warning flags are mostly yellow or red, meaning anyone who wants to cool down in the sea should exercise caution. Depending on the currents, the water can pull anyone and anything into the Black Sea. This beach is about as dangerous as it is beautiful. The Veleka river in the back offers the opposite. Here, at least in the shallow parts, even children can safely have fun in the water, without being swept away. The southern peak of Veleka Beach is the spot where the river flows into the sea. What a great place. Right here, Yassen (name changed), a Bulgarian Robinson Crusoe type, has set up his tent. When he does not walk around naked, he sits there and stares at the sea he loves so much. Then, suddenly, he would put on his diving gear and get going. After returning from his expedition, Yassen often starts fishing. He hardly ever leaves this beach, and he mostly feeds himself, but also sells some fish. Even though camping is forbidden on Veleka Beach, everyone, including the mayor and the police, is glad Yassen is there. That is because he helps. When young men hit the beach at night and throw around their beer bottles, he intervenes. Also he cleans up after some ignorant tourists. Yassen says he spends six months per year working abroad. The entire summer long, he stays in his little kingdom, right there, where Veleka and Black Sea unite. More nudists live just a few feet away. A Czech family of five has a nice tent and two futuristic looking kayaks. In the river they train their children how to move those kayaks, and they show them how to react when the boats turn over. Then there are lots of selfie enthusiasts who show up at that fascinating spot in order to hold their muscles and faces into the cameras. Also tourists who just want to enjoy the quietude down here arrive in the late morning and set up their sun umbrella. When the sun sets they leave. Two little bars in wooden huts are located further south on this beach, close to the extremely bumpy sand road which leads to this place in the middle of nowhere. A surfing school is accommodated here as well. Rum, surfboards, Robinson Crusoe, nudists, and both sweet and salty water: This is what Veleka Beach offers, apart from great photo opportunities. The very long beach in Ahtopol, located some 5 kilometers (3 miles) north, does look very attractive too. But lots of algae and rocks make entering the sea rather difficult, at least at the spot tested by the author of these lines, who got out of there quickly with his entourage. That step also had to do with the trash floating in the sea. The latter might have been pushed ashore by the strong wind registered a day earlier. So it is back to Sinemorets, where a walk to the rocky shore, away from the beaches, is recommended. The views provided here are literally breathtaking, especially extremely early in the morning or in the evenings. The Rocks of Sinemorets are also a very romantic place. The only nuisance down here are the fridge-sized wasps and other insects. They love coordinated attacks. First they send a scout and have him check out the situation. Then they wait until the enemy forgets he or she was being spied on. Now, the right moment for the attack has arrived. Five to seven of those huge inspects will bite and torture the victim, who would run away, screaming for help and cursing.